Are you tired of all the boring and outdated traditional flooring options like carpet, tile, and hardwood? We are too, that is why we are bringing the greatest flooring available on the market to our neighbors in Phoenix! Our epoxy flooring can benefit your home or business facility more than any other flooring option on the market can so let us tell you how. There has been a rumor going around for years stating that epoxy flooring only belongs in commercial and industrial areas. This is just a myth as epoxy flooring is one route to becoming one of the highest used floorings in the residential market for many reasons. Epoxy flooring in Pheonix is able to be customized more than any flooring available today and it shows. Below we have two of the most used epoxy flooring systems on the market today in the residential setting. The metallic epoxy floor is one of the most unique flooring options that you will ever be able to find. It has a magnitude of different options that are available so you will have full control of the finished product of the metallic epoxy floor. With a metallic epoxy floor, you are able to mimic the effects of waves crashing in on the beach, lava flowing down a mountain and even the sight of a cloudy sky but that’s only the tip of the iceberg in terms of what you are able to do with a metallic epoxy floor. The designs that are created with a metallic epoxy are so intricate, they will never be perfectly replicated, not even by the same contractor. Just because the metallic epoxy is an attractive flooring that doesn’t mean that metallic epoxy isn’t durable. 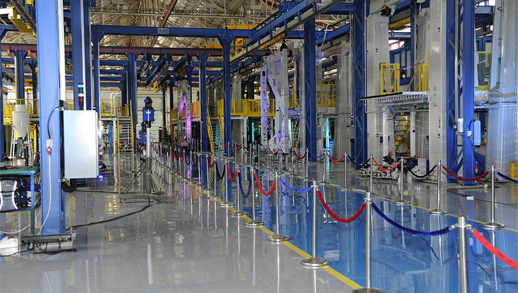 Metallic epoxy uses the 100 percent solid epoxy system, which is the strongest epoxy on the market to this date. 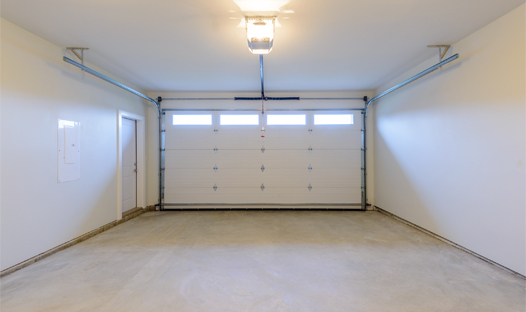 Are you tired of your garage being poorly lit, dirty or just overall boring space in your home? You are not the only one, as a matter of fact, hundreds of thousands of people are displeased on how the garage represents the home. Epoxy flooring in Pheonix is the perfect option to totally transform your garage into an area that can be worthy of showcasing million dollar cars. The garage floor epoxy can be customized in a variety of ways from color choice, flakes, and even the ability to place an emblem or logo directly into the flooring. No longer will your garage be dimly lit as well with a garage floor epoxy as epoxy flooring in Pheonix has been tested and proven to make any area up to 300 percent brighter without the use of additional lighting sources. An epoxy garage floor coating will make your garage cleaner, more welcoming and will make your neighbors green with envy every time your garage door is opened. We will do your job right the first time! 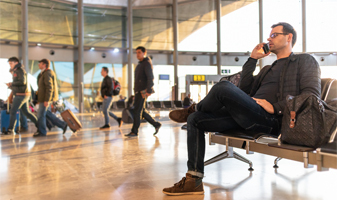 When you take the leap and make the switch to an epoxy flooring, you should be delighted to know that epoxy flooring systems come chock full of benefits. Below we have outlined only a few of the best benefits of having an epoxy flooring system installed in your home or business facility. One of the most popular benefits of epoxy flooring in Pheonix is its overall durability and strength. Epoxy flooring has such a high tensile strength that it can actually make the concrete slab 300 percent stronger by adding up to 3500 psi of strength to the concrete slab. With an epoxy flooring system, you will no longer have to worry about the adverse effects of high vehicle and foot traffic, abrasions or scratches and even the use of heavy machinery ruining your flooring. Epoxy flooring has earned the nickname of the life proof flooring for good reason and it shows! One of the benefits that our clients love the most about the epoxy floor coating is that they require very little maintenance. While the maintenance of epoxy flooring is minimalistic, it is extremely valuable as it plays a huge role in how long the flooring will last. To maintain epoxy flooring in Pheonix, you won’t need any fancy tools to polish or wax the flooring because epoxy flooring doesn’t need to be waxed and polished. 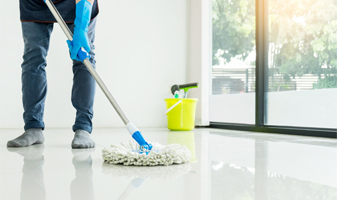 All you will need to maintain the epoxy floor coating is a soft bristle broom or dust mop and a standard wet mop to keep your flooring going strong for decades! Yeah sure epoxy flooring is durable and attractive but what else can it do? Epoxy flooring is able to keep the environment safe with its ability to resist chemicals. The way that epoxy flooring is able to resist chemicals is through its amazing top coat as no liquid is able to pass through. The chemical is left isolated on top of the epoxy flooring so it will not be able to come into contact with the chemical slab. Why is this important? 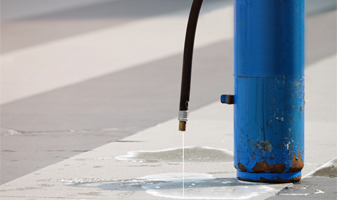 did you know that concrete is a porous material that will absorb all liquid and leak it out? No contact, no leakage. Another great feature that epoxy flooring is able to offer to our neighbors in Pheonix is the ability to be customized to the imaginations fullest extent. 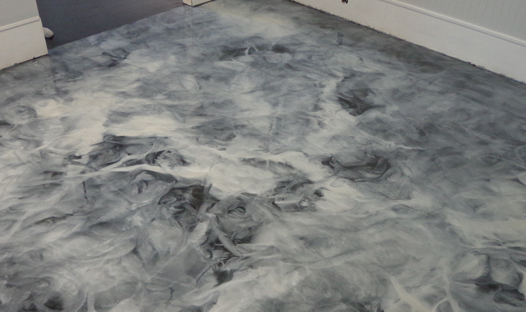 Epoxy flooring can offer this as it is a liquid flooring and nothing is set in stone until the flooring has cured. With an epoxy floor coating in Phoenix, you can choose from a wide selection of colors, the choice of flakes, and even metallic pigments. There are even ways that the epoxy flooring can be used in the commercial setting to make the area safer and more efficient as well. Epoxy flooring can use stencils to create barriers, walk paths and even barriers that will be under the flooring so they will always be visible and will never come up like paint would. We have built a reputation for great customer service and superior quality through years service in the Phoenix area. We are a third party referral company that refers all of our business to a licensed contractor in the state of Arizona. All business from this website is referred to Sledge Concrete Coatings LIC# C-09 ROC266689 ROC286152 (Commercial).